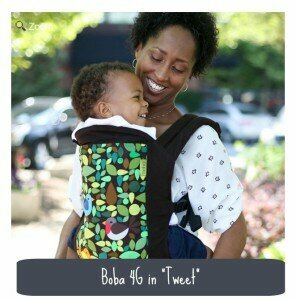 Since it’s once again International Babywearing Week, we wanted to bring this topic back around again. Last year I shared my “Adventures in Babywearing” story. So if you’ve read that, or done any research on the benefits of babywearing, then you’re all set on the “whys” of it. But if you’re expecting a baby, or are a new mother, or not sure where to start, the massive amounts of different options for carriers can be overwhelming. You’ve got your soft structured buckle carriers, your panel or Mei Tai carriers, stretchy wraps and woven wraps, ring slings, and more. Most new mothers tend to start out with a stretchy wrap, like a Moby Wrap. These can be great for newborns, but after the first few months of use, it’s time to move on to something else. For this post, we’re going to specifically focus on soft structured carriers (SSC), because even though other types can be amazing for different reasons, SSC are pretty much great go-to’s for anybody that wants to babywear, whether you have no experience or a ton of experience. They tend to be the carrier option that is less frightening, especially to spouses or caregivers who may not be very comfortable wearing in the first place. They generally don’t take long to get the hang of, and tend to feel more secure with little effort. They can be put on and off quickly, used for long durations of time, can have good support and distribution of weight for the wearer, and can be exchanged between caregivers without having to worry about purchasing a different size. There are few soft structured carriers that can immediately be used from birth, and even fewer that don’t require you purchase an additional insert for it. 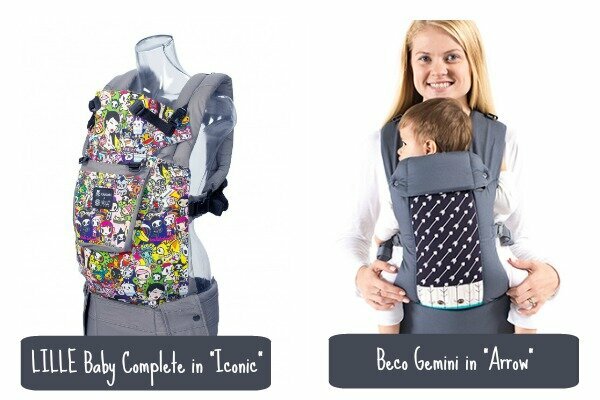 Both the LILLEbaby (all models have the same main features) and the Beco Gemini are great carrier choices because they can be used from newborn to (smaller) toddler. They easily convert by way of a few snaps, to fit a newborn without the use on an extra insert, keeping it a cooler option especially in our warmer months, and with fewer individual pieces to worry about. Some carriers may hold a toddler fine, depending on their size and weight and the weight rating of a carrier, but some carriers are superior in comfort for both toddler and adult. The Toddler Tula and the LILLE CarryOn won’t work for a small infant due to its panel size, but if you still want to wear your child past around 2 years old (give or take), the toddler size carriers make a world of difference in how the weight is displaced on your body, how your back will feel after wearing for awhile, and how secure a larger child will be in the carrier. Both of these have a simplistic design, and the adjustments make it comfortable for myself or my husband to wear our 3 year old when need be. Toddler Tula’s are probably the most well-known and favored toddler carrier on the market right now, but the CarryOn is a new toddler carrier recently released from LILLE, which is also sized larger and has a higher weight rating than their standard carriers. 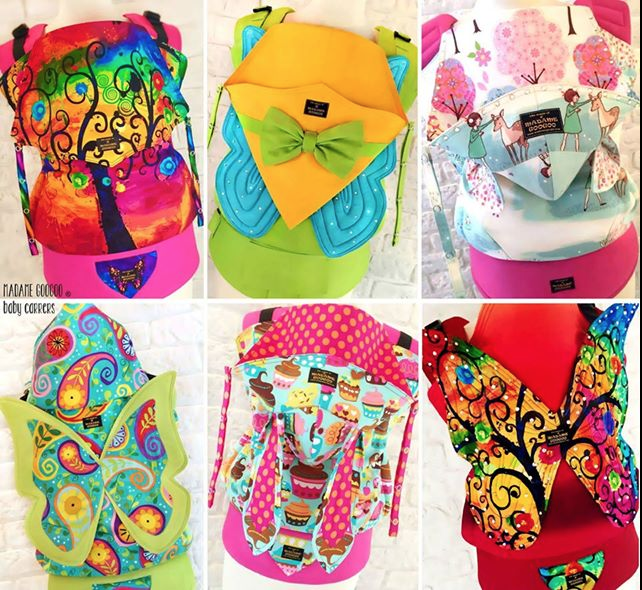 It’s design is also quite different from the standard LILLEbaby’s, and much more similar to a Tula. 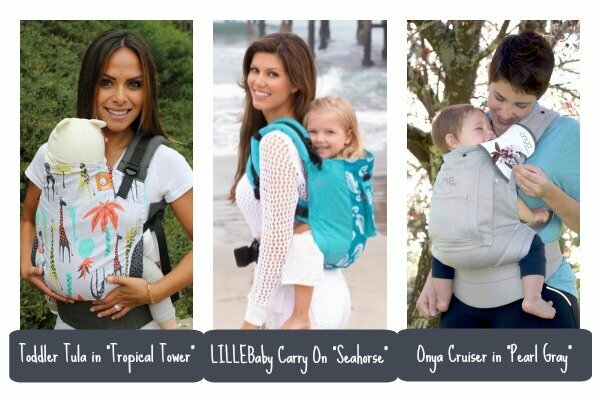 The Onya carriers are not toddler sized per say, and while the panels are more narrow than a dedicated toddler carrier, they are the same in height to a Toddler Tula, making it a good second choice if you already have one of these on hand. 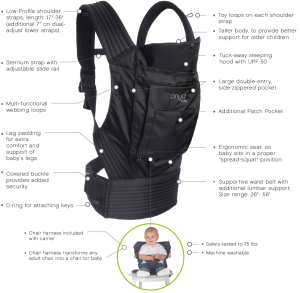 The Onya carriers have more features than any other SSC. You can wear in a variety of positions including front, hip, and back (+ straps crossed across back). But this is also the ONLY carrier that has a nifty built-in high chair feature, making it more than just a baby carrier. The Boba 4G doesn’t have many features to it, but sometimes that’s what you want! This is a simplistic, barebones carrier, making it comfortable and easy to use. It’s not confusing like some of the other brands with lots of features, and you can feel the difference when you’re wearing it because there isn’t loads of extra pockets, straps, or accessories attached. 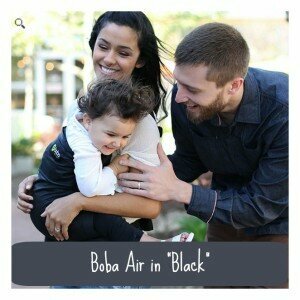 Boba also makes an “Air” model, which is super thin and lightweight. This will roll up into a small attached bag, that can easily be stored in a suitcase, in your car, or even in your diaper bag for times when you thought you didn’t need to pack a carrier but ended up needing one. 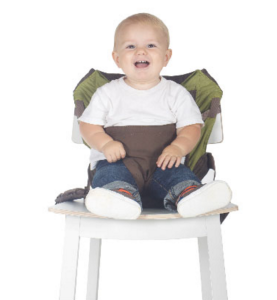 Onya gets an honorable mention here not because it can fold up very small, but because of it’s highchair feature, which can come in handy while traveling, especially in places that may not have a highchair available, like while staying in a cabin or at a relative’s house. This is a newer carrier on the market and most people haven’t heard of it yet. In the “under $100” category for SSC, this one runs away with the title! It has a pleasing black and white design, is comfortable, and allows you to keep warmer in the colder months, or cooler in the warmer months because of it’s zip-down cotton covered mesh panel. 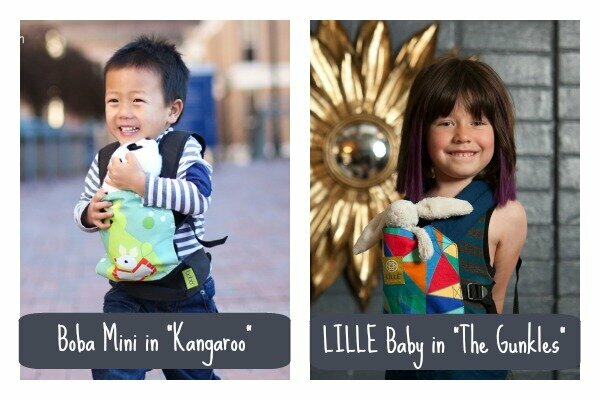 Most carriers in the ‘under $100 category’ tend to be less ergonomic, which can be less comfortable for both the adult wearing and the child being worn. This one has a wider seat than most in the category for baby (although not as wide as some), and a good supportive design for the wearer. There are multiple companies that offer SSC for kids! My daughter LOVES to wear her baby dolls and stuffed animals in her carrier just like mommy wears her. It’s a toss up on my favorite between Boba and LILLE. If you tend to wear a lot while you’re out, it can be a pain on your shoulders to both babywear and to carry a diaper bag. Sometimes built-in storage pockets are a lifesaver when you don’t want to tote an extra item, but most carriers have a very small pouch that will barely fit a cellphone or set of keys. The Onya’s have multiple pockets on them, and are roomy enough to stash your phone, keys, wallet, an extra diaper, AND a snack. 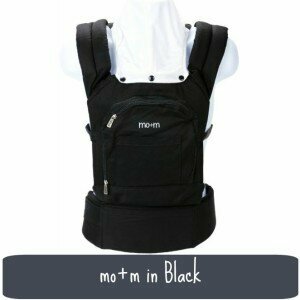 Both the Ergo and the Mo+m carrier also have larger pockets than most brands, but not quite as roomy as Onyas. Both sport models are lighter in weight, include mesh for increased airflow, come with a hood for sleeping, rain, and sun protection, and have that outdoor adventure look to them. But it’s a toss up since both have a favorable feature that the other one doesn’t have- the Outback has an easy-clean rip-stop nylon fabric covering on the outside of the mesh, but the Performance has through-and-through mesh making it more barebones and breathable for hot weather. There are a couple of different twin carriers on the market, or you can also tandem wear with two separate carriers on. 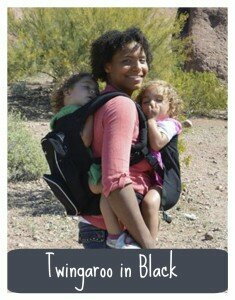 The Twingaroo is awesome for multiple reasons… you can wear two children at a time, OR it comes apart so that you can just wear one. It also has a large zippered backpack on one side of the carrier, and an insulated bottle holder, offering up plenty of storage space to tote everything with you. When I’m talking about customer care, I’m looking at things including customer service, social media presence and interaction, lending library programs, community involvement, and even user friendly website designs. These three companies seem to go above and beyond in all of these areas, and instill so much confidence in its core customers and lenders that it’s hard not to recommend them. All three carriers give you the standard options of wearing front facing in, or on the back, plus give you a hip carry and front facing out option as well. The above example is for the Beco Gemini. These five brands have the best color and pattern options to choose from. Choosing MY favorite won’t help you much though, so I suggest taking a look for yourself at what each one has to offer, if form is a deciding factor for you. I haven’t been able to actually try one of these carriers on, so it unfortunately wasn’t even considered for any of the above categories, but I’ve been drooling over this carrier makers designs since I first saw them. They are truly unique and one of a kind, and all individually hand made. This is another category that is very subjective, and can really only be determined through trying them on. 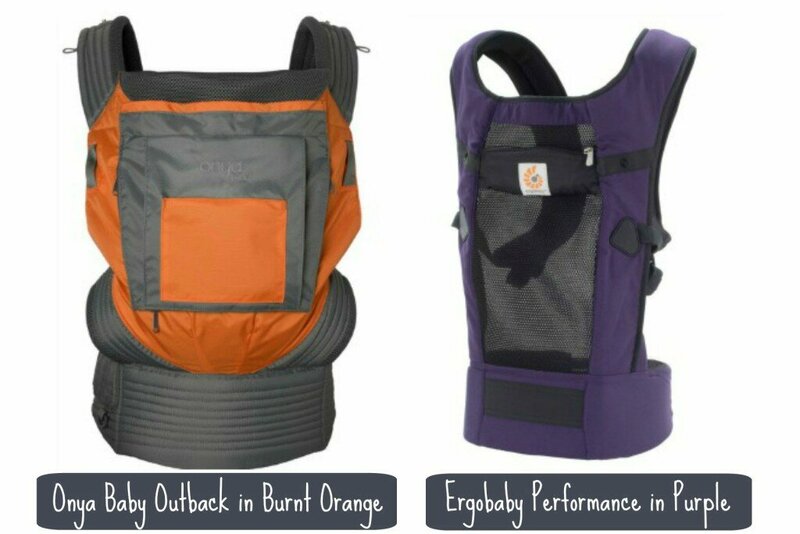 It varies depending on your body shape and size, and on the carriers design, but these are the two that seem to be the most comfortable for me. If you’re still unsure what carrier may be the right fit for you, have no fear, there are options out there for you! You can join a babyweairng group that has a lending library. You can ask to try out some of your friends carriers before purchasing one. There are companies that offer carrier rentals. Or, you could simply choose one, and if you don’t like it, resell it and purchase another one. Most quality carriers have decent resale values, so you probably won’t be out too much if you go this route, especially if you purchase a used one to start with and keep it in good shape. Jenn Fletcher grew up in North Carolina and has been a Georgia resident since 2002, currently living in Cobb County with her family. She is a mother, portrait photographer, and also runs a local parent and kiddo group called Anklebiter Adventures.